Kempston Rovers kicked off their pre-season campaign with a 6-0 win over Winslow on Saturday. A mixed team of senior and youth players took the field, as they proved far too strong for their opponents. Joint Rovers managers Gary Flinn and Jimmy Stoyles have confirmed most of the squad from last season title-winning team have agreed to stay with the club for the 2016-2017 campaign despite offers from many clubs. Martin Conway, Alex Stoyles, Robbie Goodman, Tom Guiney, Sam Mcrea, Seb Simpson, Sam, Johnston, Micky Lyons, Gary Ridgeway, Jeraine Ivy, Ash Fuller plus new signings Stacey Fields and Grant Fryer are now all on board for the new term. Meanwhile, ex-Aylesbury United and Thame manager Tony Joyce has joined the management team as Stoyles said: “Bringing Tony in makes the management team and the football team stronger. “Tony has good Southern League management and coaching experience and both Gary and myself have known Tony for many years. Kempston are back at home this weekend when they entertain Kettering Town, before welcoming Hitchin Town to Hillgrounds on Tuesday and League Two Luton Town next Saturday too. Rovers will then be away on Tuesday, July 26 at Olney Town before hosting Southern Premier side Biggleswade Town on Friday, July 29. 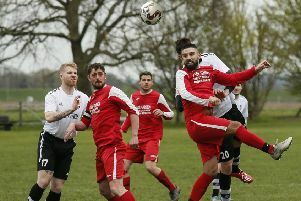 >> Kempston are forming a Development team who will play in the Bedfordshire County Football League Premier Division next season. The team will have a direct link to the Walnut Boys’ first team who will being playing Step Four football next season in The Southern League Division One Central. Rovers’ development side will be under the new management of Stuart Mellon, as the club have put on record their thanks to last season’s management team. For further details on the development, contact Mellon 07530 700886. Any player wishing to join the first team for pre-season training should get in touch with joint first team manager Jimmy Stoyles on 07557 120612.